There is additional parking at Doodle's across the street as well as street parking. 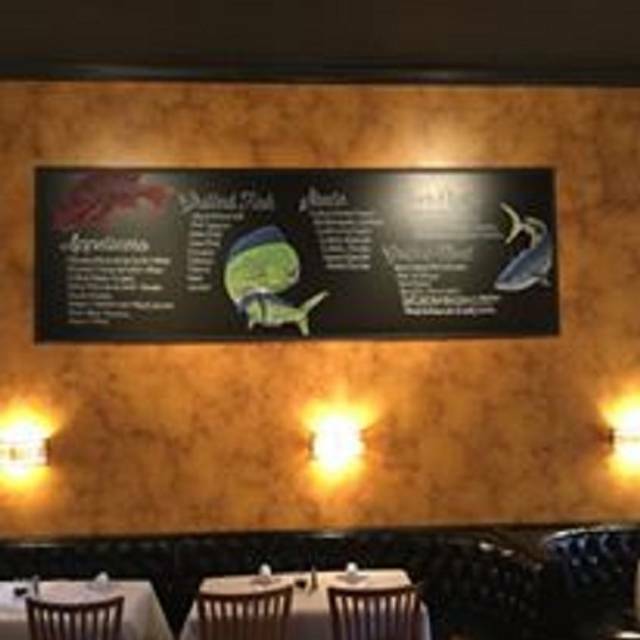 Grillfish ( a newcomer to Lexington, KY) is a casual, upscale restaurant, specializing in the freshest and largest selection of Grilled Fish & Seafood. 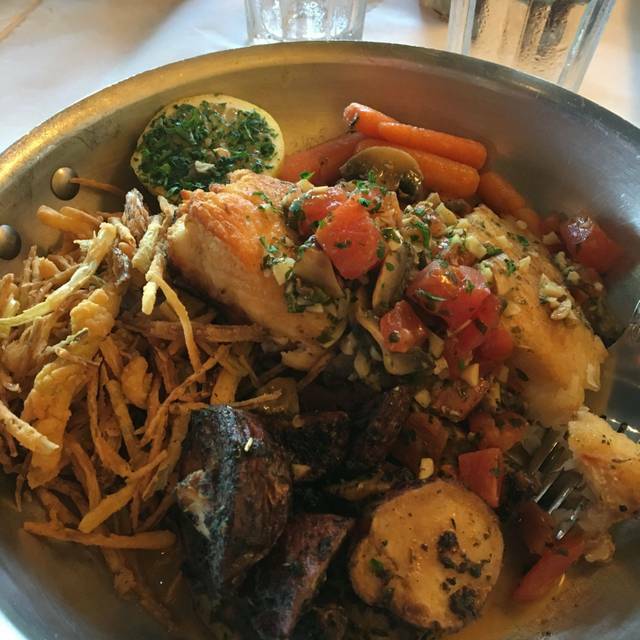 We also offer mouth-watering Pastas and some of the best Steaks and Chops around. The "open kitchen", where flames leap from the grill, creates a warmth and intimacy in this casual atmosphere, making this one of the most desirable dining rooms in the Lexington area. I throughly enjoyed everything! Service was pleasant & professional..and the food was delicious! I come to Lexington for business about 10 times a year, and tend to eat at all my favorite restaurants when I do. 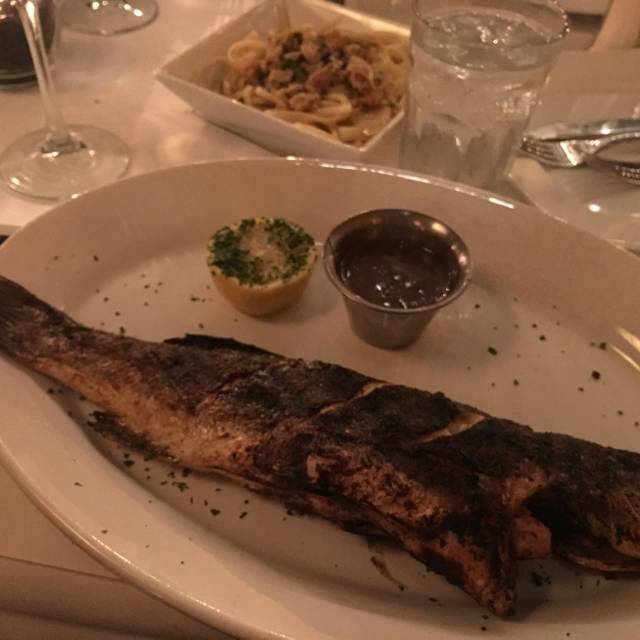 This trip, I decided to add some new choices to the lineup, and the best meal and experience I had all week was at Grillfish. Everything about it was perfect. Beautiful lighting in a nice space that's neither overly casual or formal--just comfortable. The waitress was helpful with suggestions that all proved to be excellent. And the food...I'm from the East Coast, so a bit of a fish snob, and this was among the best I've had. I chose the salmon, cooked to perfection, and offered with a sweet onion sauce that was the perfect accompaniment. 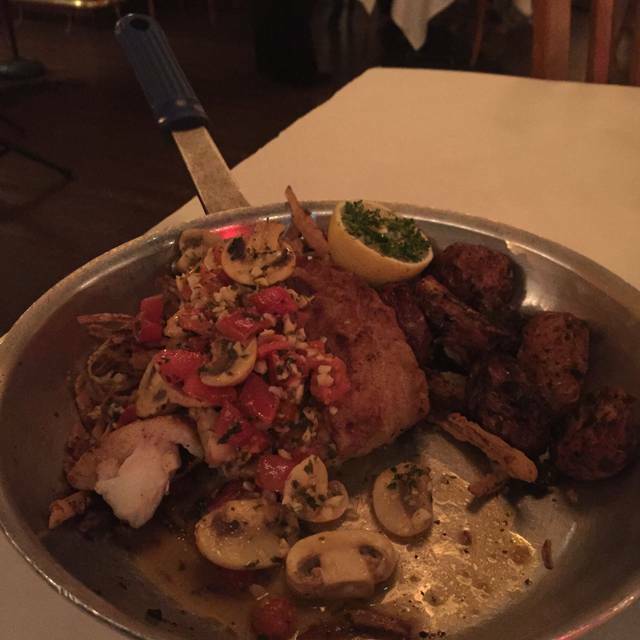 My dining partner went with the swordfish, and pronounced it brilliant. The waitress recommended the oven-baked potatoes to accompany it, and they were perfect--cooked through, but not too much, with a crispy exterior. The fish was the star of the dinner, but the whole experience was really great. I'll be adding Grillfish to my list of favorites. This was our first visit. The snapper special that we had was memorably tasty. I’ve always liked the look and feel of the building. We definitely will go back. My daughter and I went to Grillfish and had a great meal on the back patio. The ambiance, service and food were superb. I would highly recommend this to anyone who has an appetite for seafood and likes a unique, boutiquey kind of atmosphere! I think that Grillfish has a wonderful outdoor patio but I would think that they need to "spruce it up" some. The food was good, but nothing outstanding considering the cost of the food. I believe our server may have been fairly new--she wasn't very familiar with the menu and we had to ask for water and refills on the water. I would maybe give it another try, but can't say that I definitely would. The clam chowder was excellent and my favorite thing. My husband had the Mahi Mahi which was also very good. I had the grilled Swordfish, which I thought was fine, but probably wouldn't order again. Overall, it was a very good meal and would definitely go back and try other items on the menu. Delicious meals. I had shrimp scampi, probably the best I have ever had. My wife had the rack of lamb. It was a generous portion prepared perfectly. Good service in a charming atmosphere. We always have a great experience! We were sitted immediately, but only after we were asked if we had a reservation. (which we did) The bread and butter brought out were really good. We especially liked the herbed butter. We ordered Mussels as an appetizer the sauce was pretty good. The waitress gave us a rundown of the daily specials that weren’t on the menu. She suggested the Wahoo fish for $34. Sounded good and that’s what I ordered. The sides were pasta and shells and cheese. The shells and cheese were served extremely hot, unbeatable, scald your mouth hot. My son ordered it and I did as well. He was not able to eat at all because it was way too hot. The shells and cheese were also very bland. Added a little of the herbed butter and it helped them tremendously. The clam linguini side I ordered was absolutely loaded down with onions (not listed on the description) I wasn’t able to eat them. My Wahoo fish filet was extremely small and not fileted on the bottom. The meal was over $100. After looking at the receipt, we noticed that they had charged us $40 for the fish even though we were told $34. Honestly, it’s not worth the price. The food is okay, small, and overpriced. The restaurant is laid out very strange and is a maze to walk through. There aren’t a lot of options on the menu. We probably won’t be returning. It just wasn’t for us. The clam chowder was extremely good though. Food and Service was great! We had a small issue and it was addressed over and beyond expectations. Found this gem while in Lexington for a visit with friends. We enjoyed the charm of the neighborhood location. The food was fantastic and the service was too! The food was great, and the service unparalleled! Best Filet in town!! One of my Lexington favs! Great food great atmosphere! Best fish in Lexington! The experience was wonderful start to finish. The food was divine and our waiter, Chris, was attentive and personable. We will be back! Our waiter was wonderful but the food took a long time to come out. I find the prices to be a little on the high end but in line with other high end restaurants in Lexington. My salmon was good but my husband said his scallop piccata dish lacked in flavor. We like the parking and the atmosphere. First visit to Grillfish. It was excellent! Chris our waiter was great - explained any questions about the menu and specials. Food was delicious and service was very good. One of our faves! 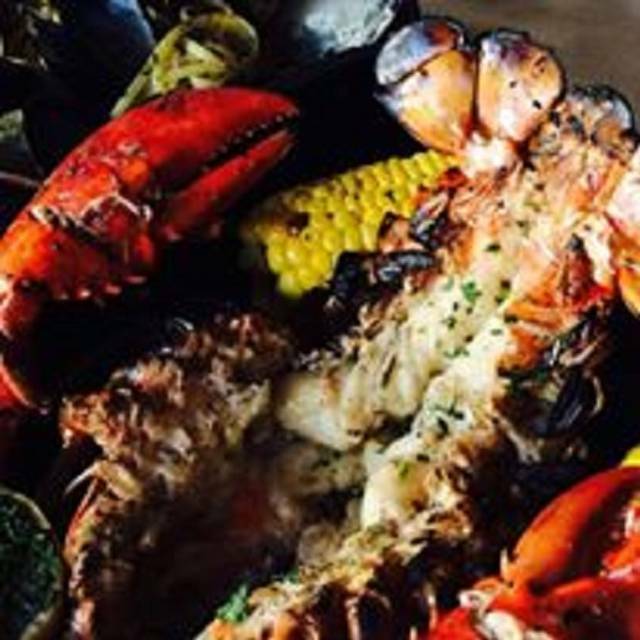 Great seafood and steaks! the Piccata is amazing! This was our first time at Grillfish. We have tried fried calamari at other restaurants in Lexington, but we have liked Grillfish the best! The grilled shrimp scampi was the best I’ve ever had. Great service as well! 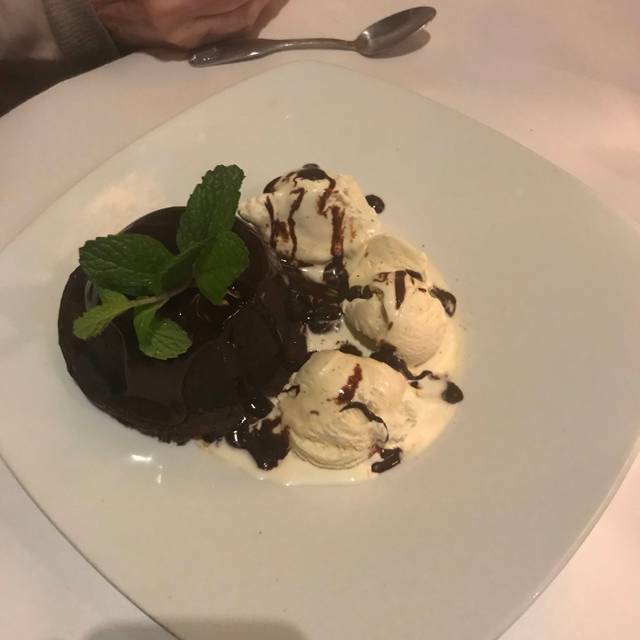 We ate there for Valentine’s Day and it was absolutely phenomenal! We started with the fried oysters, then followed with our entrees I had the rack of lamb, broccoli and potatoes and everything was to die for! My husband had the snapper pasta and broccoli, we finished our meal with an amazing cheesecake! IT WAS PHENOMENAL! Will be back soon! Went on Valentine's day; Outstanding meal! Very fair and reasonable pricing. A great place for a date. My husband and I chose Grill Fish to celebrate Valentine’s Day. When we arrived our table was ready, we were waited on promptly by a very nice young man, who turned out to be an outstanding waiter. Our dinners were delicious, the service was excellent, the evening was perfect. Food was fresh, cooked perfectly and tasted outstanding. The service was 5-star. Always a treat to dine at Grillfish. It didn’t start out so well this time. My Tilapia arrived but not blackened as I ordered. A sincere apology was quickly offered by our server and a blacked order arrived after a few minutes. It was delicious, as was my friend’s mussels. My complaint about Grillfish: so noisy, to the point of distracting. But put that aside— this place is excellent. We asked for most private table when booking. The host placed us at a middle table as soon as you walked in the door. It was the worst table for private. Had dinner with a client before a UK game. The service was outstanding. The young lady that waited on us was very knowledgeable about the menu and made great recommendations. I can’t wait to take my wife there. Try one of the skillet specials. Fish and vegetables are always outstanding and there is more than enough food. Was a wonderful evening with friends and family. I felt good a bit salty as other family member have said when they were there. Our server,a young man, was excellent! Outstanding food and our server (Lydia) was excellent! This will definitely be on my favorites list! It was our first time there. Everyone enjoyed their dinners. The staff was excellent!! We will definitely be back soon.